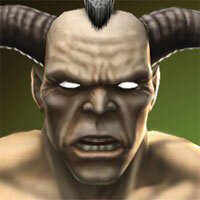 In the realm of Outworld, Motaro's race of Centaurians had come into conflict with the Shokan. Shao Kahn, Emperor of Outworld, had begun to favor the Centaurians over the Shokan, and had been punishing the latter, aiding the Centaurians in the defeat and subjugation of the Shokan race. When Kahn formed special extermination squads to eliminate the chosen warriors of Earthrealm during his invasion, Motaro was appointed to head this elite group of savage warriors. Sonya Blade's defeat of Kano during the events of Mortal Kombat Trilogy had resulted in the Black Dragon member being thrown from a skyscraper to the streets below. 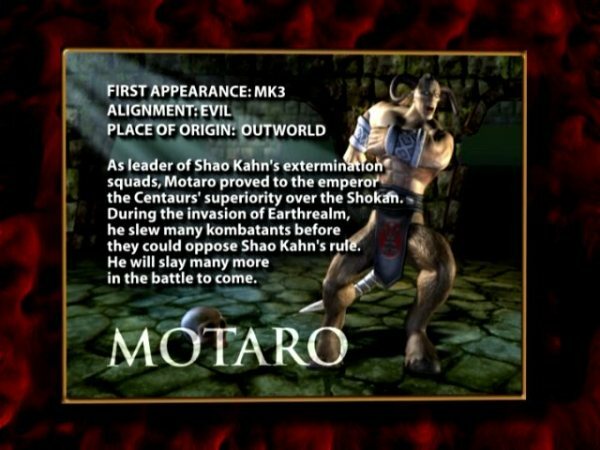 Motaro recovered the severely injured Kano, and brought him back to Shao Kahn's fortress. After reviving him with magic, Motaro then imprisoned the criminal so that he could later be punished by Kahn for failing to defeat Sonya. It is at this point that Motaro was assaulted and supposedly killed by Sheeva. 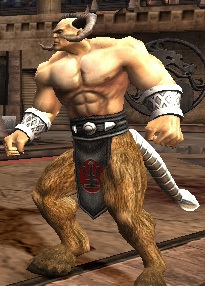 However, he returns in Mortal Kombat: Armageddon, but since then the Centaurs have been put under a curse by the Shokan, turning him and the rest of his race into bipedal Minotaurs. 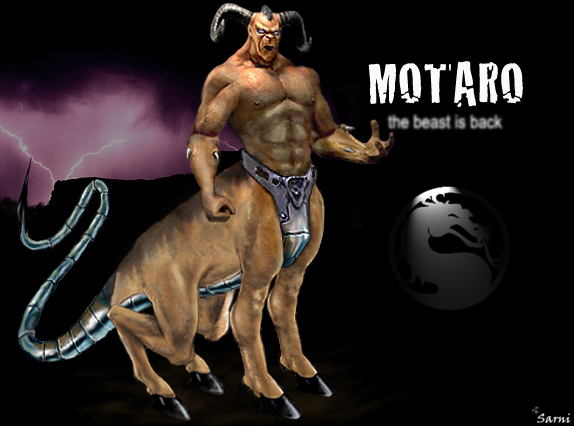 Motaro was one of the cheapest MK bosses of all time; however, he was also considerably cool and an original design in the fighting game universe. 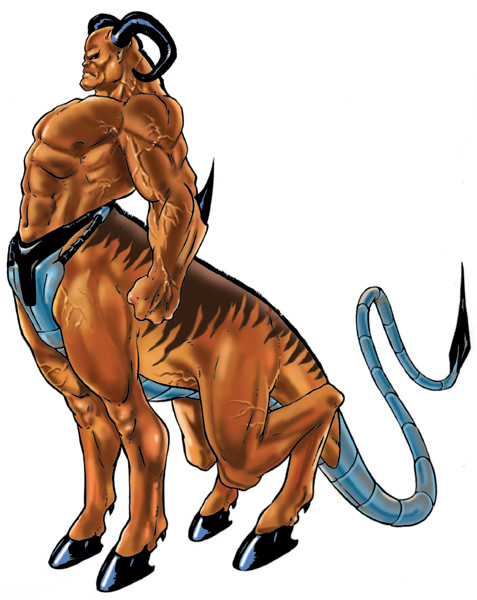 Besides appearing in MK: Trilogy, the centaur was absent from the series for quite some time... until... Midway decided to do something incredibly stupid. They brought back Motaro MK: Armageddon (his "epic" return to the series) with two of his legs missing..... That's right, the very thing that defined his design, they took away. (I think they did it because they were too lazy to make exclusive 3D physics/animations for him.) Congrats to Midway for completely butchering another halfway decent MK design... literally. I'm pretty sure Motaro's appearance in MK: Armageddon (and that game in general) was the stupidest thing to ever happen in the timeline of Mortal Kombat... and that's actually saying a lot. Motaro's rendering in MK: Armageddon was also particularly bad... he has definitely seen better days.